Zimbabwe had to depart from its “nationalistic approach” to diamond mining as the new dimension of mining, requires heavy financial capital, advanced technology and expertise that the country does not currently have, according to Deputy Chief Secretary in the Office of the President and Cabinet George Charamba. Charamba, who is also presidential spokesperson, said this in an interview with Capitalk FM earlier this week. He revealed that the alluvial diamonds in the Chiadzwa area are almost depleting, hence the need to change dimension and start focusing on conglomerates and kimberlites, working in partnership with Russian mining giant, Alrosa Diamond Company. “As a matter of fact we are almost close to exhausting our alluvial diamond deposits, which means we are now going into a new dimension of diamond mining in this country. “There is what we call the conglomerate diamond mining where we are literally crushing big boulders of rock to access the gems that are embedded inside, and the second dimension which has to do with kimberlites, these are pipes and working on conglomerates and kimberlites require lots of capital, lots of expertise, capital both in terms of finance and in terms of technology,” Charamba said. Shedding more light on President Mnangagwa’s recent trip to Russia, Charamba said these development culminated in a deal that will see one of the world’s top diamond miners, Alrosa returning to Zimbabwe. Charamba said after Government consolidated the diamond mining sector, through the establishment of Zimbabwe Consolidated Diamond Company (ZCDC), there were basic facts that had to be confronted, one of which was the realisation that the country did not have the financial capacity and technology to go it alone. 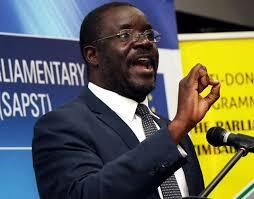 “The second area of interest from our point of view had to do with diamonds,” Charamba said. “You would be aware that the Russians were involved in the diamond exploitation in the country; around the Chimanimani area. When we consolidated our diamond industry, we then took a decision to, as it were, to localise mining activity around the area, and that was in respect of the alluvial diamonds and that was how ZCDC came about. “But after we developed a new diamond policy, we then came up against very basic facts, which we must confront as a country, that yes, we might want to be nationalistic about it and think that diamonds are a strategic mineral that must be preserve of Government, there are certain inputs we require, inputs of by way of financial capital, by way of technology, by way of even just expertise which compel us to go into partnerships with other nations,” said Charamba. “So, Alrosa is coming as partner for the enterprise and also as a prospector so that we begin to understand what it is that we are worth as a people. We are aware that there are quite a number of sub-soil assets of a diamond nature strewn over the country, the only matter being that we have not prospected Zimbabwe, she is a virgin girl, she is not at all discovered in terms of how much her value is in sub-soil terms,” he elaborated. He said Zimbabwe was highly mineralised with known deposits that were upward of 61. In the diamond sector, he said two major diamond discovery would be announced soon. Zimbabwe exported diamonds worth $89,9 million in the 11 month to December 2018, making it one of the top export earner in the country, but Charamba believes the country should be earning more from the resource. “If you are dealing in rough diamonds (value), you are probably looking at $24 billion only, if you try and cut and polish those diamonds you double your amount to $42 billion there about, then if you target your beautiful finger by way of rings and all those value added things the figure sky rockets to about $96 billion,” said Charamba. “So for as long as we remain stuck at the initial stage; in other words remain at Chiadzwa and not in the factory, we are actually confining ourselves to the $24 billion value,” he said. The Zimbabwe National Diamond Policy that was approved by Cabinet on December 4 last year, says ZCDC, Murowa Diamonds and recently Alrosa and Anjin Investments will be permitted to undertake diamond exploration and mining in the country. Anjin previously mined diamonds in the country until late in 2015 when Government did not renew operating licences of diamond miners such as DMC, Kusena, Mbada Diamonds, Gye Nyame and Marange Resources.